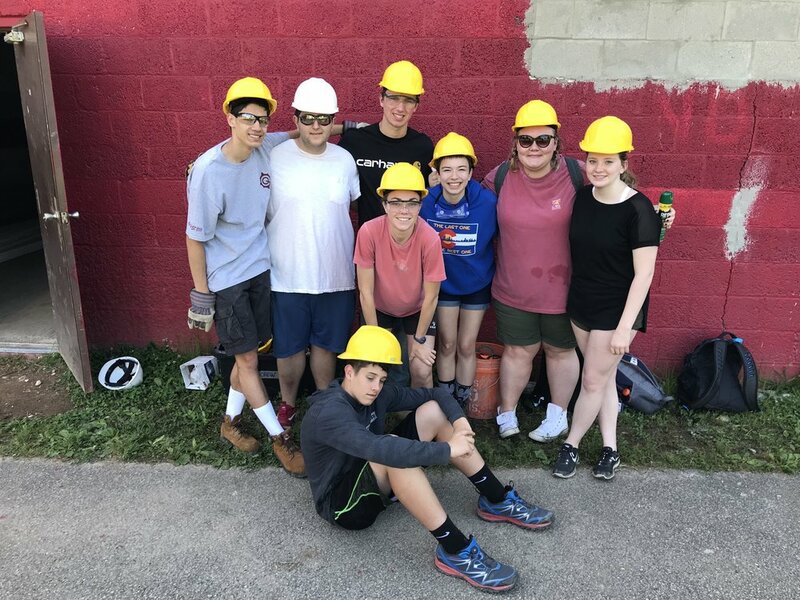 Several Good Shepherd youth hanging out in Clendenin, West Virginia during their summer mission trip. We know today's youth are busier and more stressed out than ever before. So we've created a youth program that gives them lots of flexibility and lots of opportunities to grow in their faith, be supported by others, have fun, learn valuable life skills, and serve others. Youth Sunday School gives teens in 6th thru 12th grade a chance to grow in their faiths, learn about the Bible, and grow closer to others and God. We meet every Sunday at 9:45 am for a great interactive program including Bible study, hilarious videos, discussion, and experiential learning. In Youth Group teens build community, receive support, play games, and learn how faith can help us deal with everyday challenges, overcome stress, and understand and respond to world events. Though the groups meet at the same time, they separate for age-appropriate lessons and activities. Many of our youth find that our mission and service opportunities are life-changing as they bond as a team while serving locally and abroad. Our middle-schoolers take local trips each summer, while our high-schoolers take trips both in the U.S. and out of the country, learning about new cultures, working along-side locals in those cultures, making friends across the world, and seeing the church at work, as people from many cultures and walks of life come together to bring food to the hungry, shelter to the homeless, hope to the hopeless, and joy to those who are despairing. Every Fall and Spring we go up to the mountains in Buena Vista to grow in our faiths at Quest. Great bands and speakers lead us in worship and learning, and there’s lots of fun to be had from swimming in a hot-springs-fed pool, to doing a ropes course, or even flying off a cliff on a giant swing called the screamer! We have a fun, vibrant, and meaningful Sunday School program for youth. Want to make a difference in the life of a young person? Volunteer to help out as a teacher! Curriculum and training provided. Contact Rachel Whipp for more information.